* Amounts vary depending on initial pH levels. 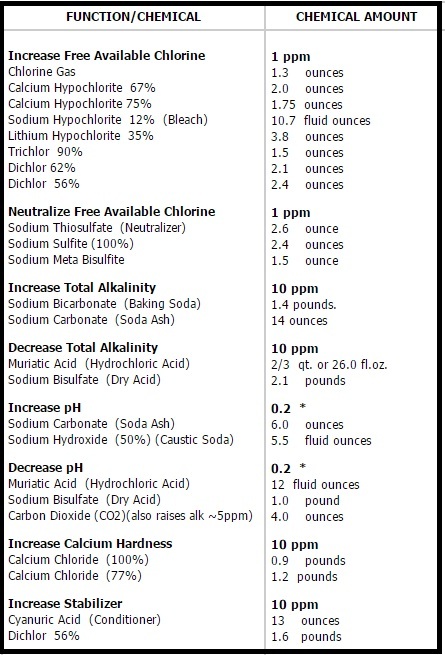 NOTE: THIS CHART GIVES APPROXIMATE AMOUNTS FOR EACH CHEMICAL. ALWAYS READ THE LABELS FOR EXACT AMOUNTS NEEDED TO MAKE CHEMICAL ADJUSTMENTS.